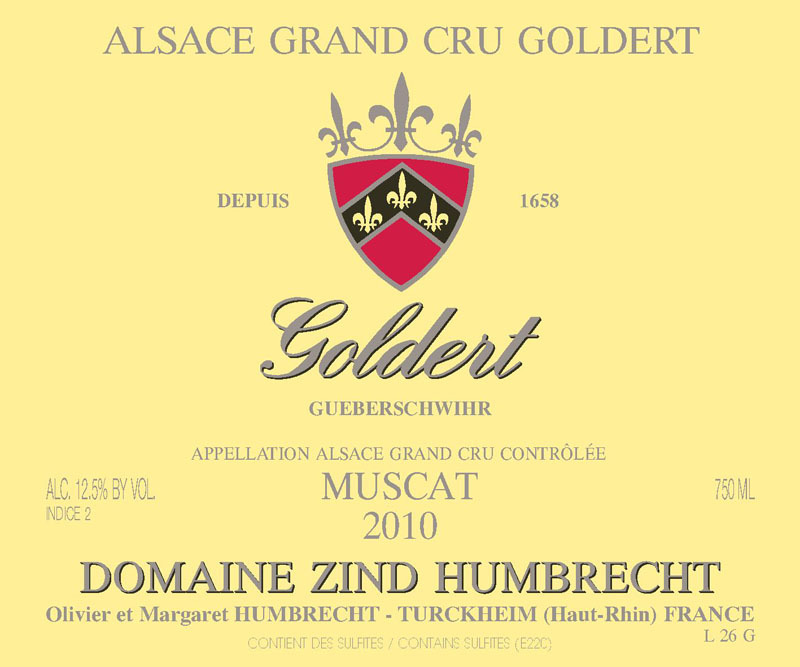 The Muscat d’Alsace is now famous on the Goldert for many years. The ideal combination of a late ripening climate and limestone soil stops this grape to become overly rich and perfumed while retaining great structure. Muscat Goldert is also a wine that will be able to age and develop an interesting minerality. In 2010 the Muscat d’Alsace was picked very healthy, slightly later than usual but without any over-ripeness character, developing an ideal phenolic ripeness. The fermentation lasted a full year and the wine finished almost dry and kept a great acidity. This vineyard contains very little Ottonel grape, so the crop was totally normal in a year of generally small yields. 3/2012: the nose is still going from full floral notes to mineral stony aromas. Full lees contact has also made the wine less developed. The palate shows a discreet sweetness and very nice Riesling-like texture. The acidity, well present on the middle palate, and the lower alcohol make it extremely elegant. The flavours are long lasting and that little sweetness is almost not perceptible. There is no doubt that this Goldert will age for a very long time.